The NOVUS-GW IP-ASI Gateway is a high performance real-time MPEG video processing solution that supports bi-direcional Transport Stream encapsulation to and from IP as standard. The NOVUS-GW has been designed to meet the demanding requirements of post-production, Contribution and Distribution applications enabling multiple MPEG transport streams to be transported through Gigabit Ethernet connections over an IP network. The NOVUS-GW is fully bi-directional in both the ASI and IP domain and can be software licensed to enable enhanced Transport Stream processing functions. State of the art processing combined with the unique Mediastorm processing core enables new system architectures to be created allowing content to be freely distributed over IP networks. • Contribution and Distribution: interfacing traditional MPEG equipment with IP networks for transport. • Video Distribution over IP backbones. • IP to ASI adaptation for devices such as receivers, IRDs, etc. • IP and ASI protection switching. If desired, up to 3 units can be installed in a 1RU rack mount tray, providing 18-channel ASI-to-IP or IP-to-ASI conversion. The NOVUS-GW is able to output a single transport stream over any ASI or IP output port. The flexible design allows up to 6 transports streams to be processed on one unit. Up to 6 ASI ports. Each port can be individually configured by a customer as input or output. Each port supports the full ASI line rate of 213 Mb/s. 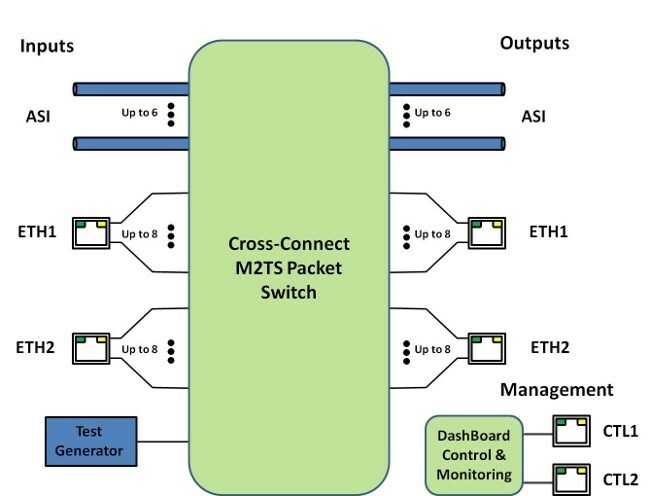 Up to 8 simultaneous transmit and receive streams per Ethernet port. Very low latency (under 4 milliseconds for ASI content). Internal stream replication – any input to the NOVUS-GW can be internally connected to up to 8 outputs. Independent redundant control ports. Management and control via DashBoard Network Control and Monitoring Software. 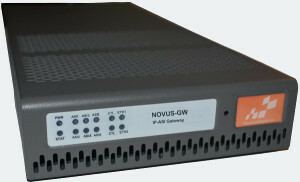 NOVUS-GW-X – IP-ASI Gateway with (X) ASI ports activated. Please specify “X” in the range from 1 to 6.